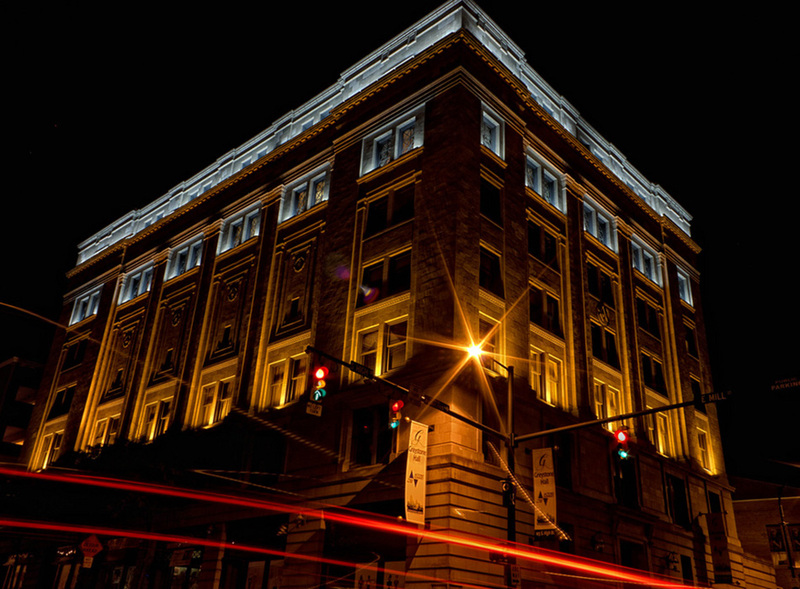 While having an imposing seven-story stone facade, Greystone remains one of downtown Akron’s most majestic structures. 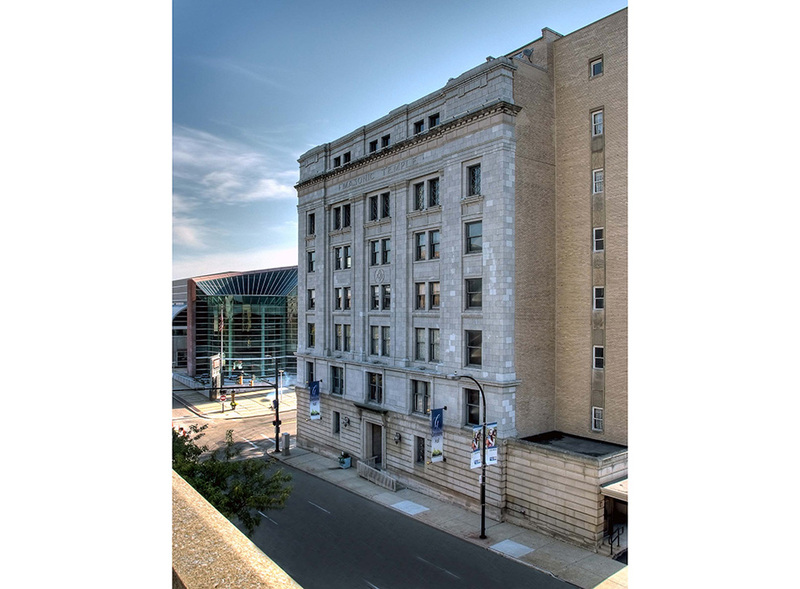 It was originally built by the Freemasons in 1917 for their business and social gatherings. 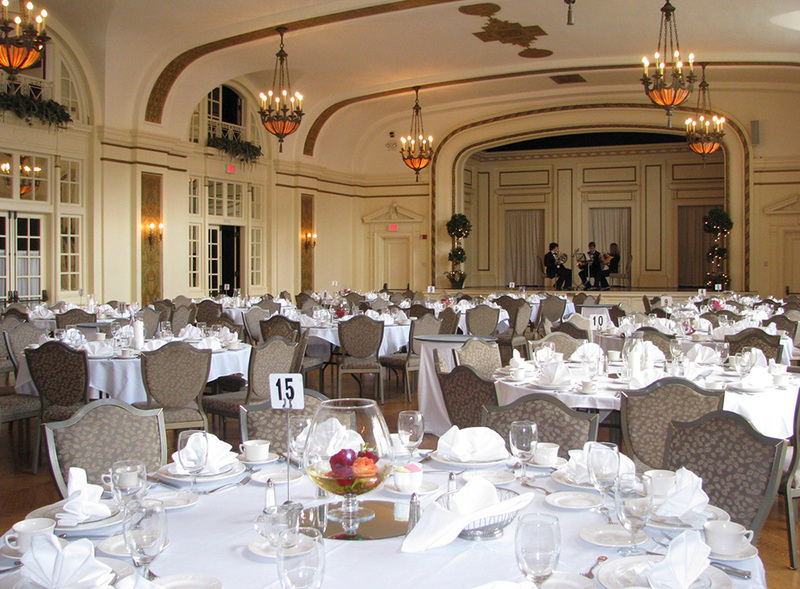 The hall now offers exceptionally appointed spaces for banquets, receptions, and special events. A grand staircase or elevator will carry your guests to the second floor. 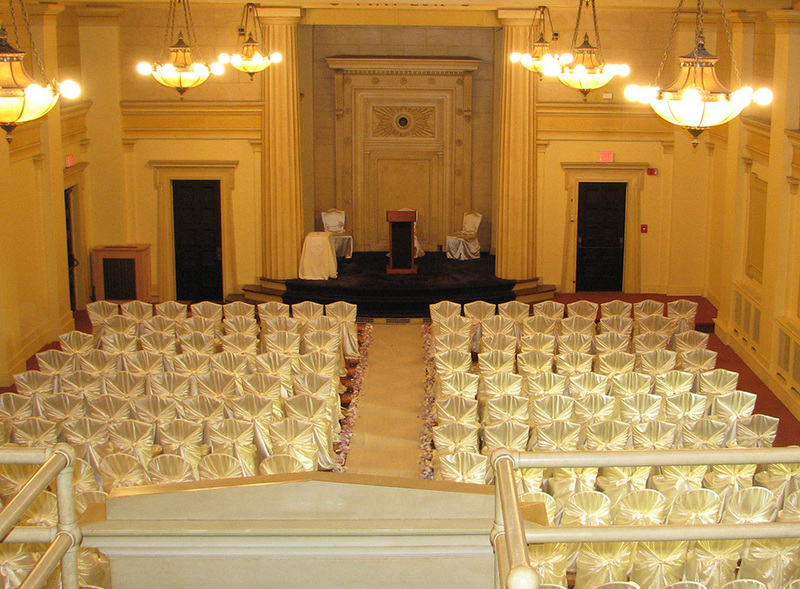 Three unique rooms on this floor accommodate more intimate functions from 50 to 80 people. The two-story Ballroom comprises the remainder of the second floor. Large windows, a tiered balcony staircase ascending above and ornate decor combine to make the Ballroom a signature banquet space. Approximately 250 guests can gather to enjoy fine dining, dancing, and entertainment while at your wedding. Not only does the third floor offer a bird’s eye view of the Ballroom below, it also boasts a beautifully furnished Sitting Parlor, separate dining in the Garden Room and a multi-purpose Suite for use by brides or VIP guests. Moving to the fourth floor, guests will encounter two of Greystone’s most spectacular spaces – the Egyptian Room and the Doric Room. Grand in their architectural styles and equally embellished designs, the rooms provide truly one-of-a-kind locations for formal and also informal gatherings for up to 200 people – perfect ceremony rooms.